Kerala is facing one of its worst-ever tragedies on account of widespread damages to crops and properties due to heavy rains and floods which also claimed at least 114 lives. 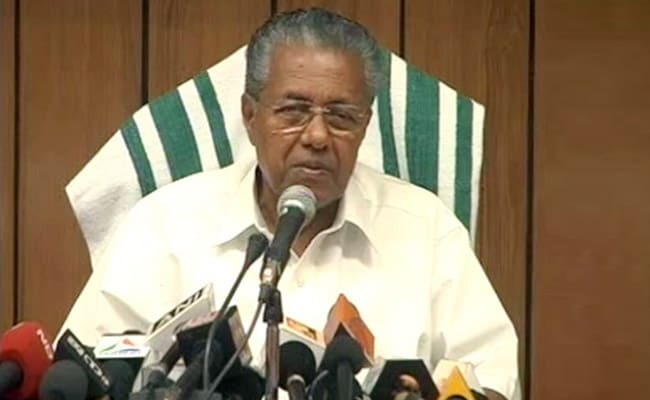 Kerala Chief Minister Pinarayi Vijayan on Thursday issued a stern warning to those spread fake news about floods in the state using social media. Speaking to the media here, Mr Vijayan said it is unfortunate that the social media is being misused and fake news is being spread about Kerala's tragedy. "I wish to inform all that the state government will now take very strict action against such people," said Mr Vijayan. Idukki District Collector Jeevan Babu said there are fake news that was being spread in the social media about the safety of Mullaperiyar dam. "All the news about the safety of the dam is absolutely baseless and unfounded and I wish to state that there are no such issues at all. The state government has now decided to take action against all those who spread fake news," Mr Babu told the media.